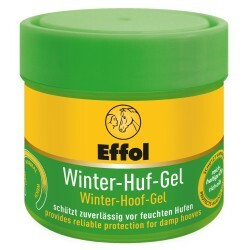  Effol Summer-Hoof Gel is ideal for damaged hooves in the warmer months.  The gel contains light oils, proivdes moisture and strengthens the horn.  The exceptional consistency means that it is absorbed quickly, ensures optimum elasticity of the hoof and prevents it from becoming brittle.  Effol Summer-Hoof Gel has been specially developed for the summer time when hooves grow more quickly, and provides a good guarantee against cracked hooves in summer. • All Effol Products are manufactured in Germany by Schweizer-Effax and fulfil the GMP Standard. The GMP Standard is the highest form of international recognition in the sector of pharmaceutical production. GMP (Good Manufacturing Practice) really means exactly what it says: guidelines regarding quality assurance of the production process and environment in the production of pharmaceuticals, active substances and medicinal products, as well as foodstuffs for humans and animal feeds. Quality assurance is of crucial significance in pharmaceutical production because even the most minimal variations in quality can have a direct effect on the health of the human beings or animals that use them. Schweizer-Effax is the only official supplier of the German Equestrian Olympic Committee for the horse care area. 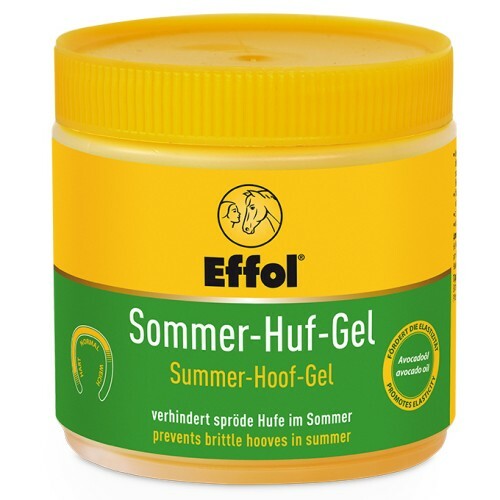 Thank you for your review of Effol Summer-Hoof Gel 500mL.